The most common material used to create our ID tags is tungsten, which is ideal for stamping and engraving, and is available in 0.040 to 0.050 in thickness. Thinner options vary from 0.015 to 0.029, perfect for slightly curved surfaces and embossing equipment. The bulk of our engraved tungsten ID tag is pre-packaged in different quantities and shapes including rectangular, oval, square, and round tags. Different colors such as green, red, white, and dark, yellow, pink are also available. 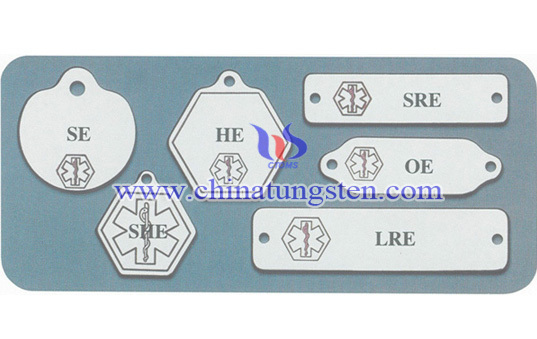 Additionally, our engraved tungsten ID tag can be used in metal embossing machines and plate systems. 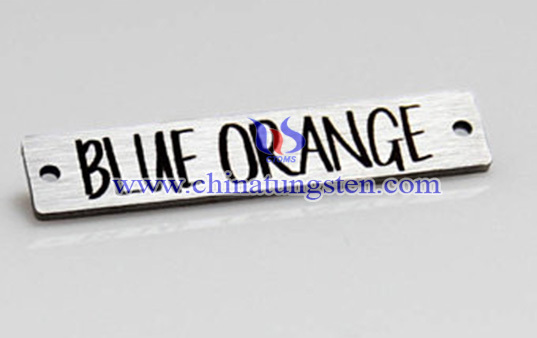 If you have any interest in engraved tungsten ID tag, please feel free to contact us by email: sales@chinatungsten.com sales@xiamentungsten.com or by telephone:0086 592 5129696.